The best that Japan has to offer. Time to sell my Subaru Impreza P1 which I have owned for the last 3 years. Number 371 of 1000 made. 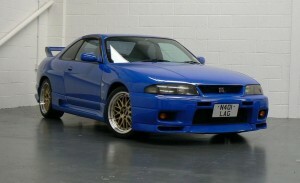 Only about a half of those made still survive so grab yourself a car that can only go up in value. Just put a new MOT on and car has 5 months road tax. Genuine 67,000 miles. Service history but in recent years I have done all the servicing myself. 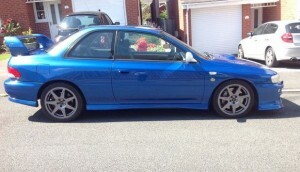 Car is 14 years old now so has some light marks/few scratches but for its age is in very good condition. Sonic blue. Type R roof flap professionally fitted and have upgraded the exterior mirrors to the electric folding type. Never got round to painting them to match the car, hence why they’re white. Front bumper has been cut to allow fitment of the front mount intercooler (see below). STI clear rear light clusters and clear side & front indicator lenses fitted to replace the original orange items. P1 driving light covers also included. STI rear diffuser. Headlight protectors/stone chip guards. Prodrive Recaro seats fitted as upgrade from the 99/00 WR upgrade option. Identical to the P1 optional upgrade but fabric design slightly different. Prodrive gear knob, fully working Lamco gauges cluster (oil pressure, volts and oil temp) which is ultra rare to find in full working order. Lamco turbo boost gauge also which is mounted to the steering column surround. Knocklink sensor lights fitted to instrument cluster surround. STI alloy pedals. Original Sony mini disc player with CD Changer attached. Prodrive mat set including boot mat. STI engine with APS front mount intercooler, APS inner wing induction kit and APS recirculating and atmospheric dump valve. Up rated walbro 255 fuel pump, PFR 7s spark plugs just fitted. De-cat down pipe and 3″ HKS HiPower exhaust system. This is a good system and not loud at all but looks the business. HKS front mount oil cooler and oil catch can also fitted. 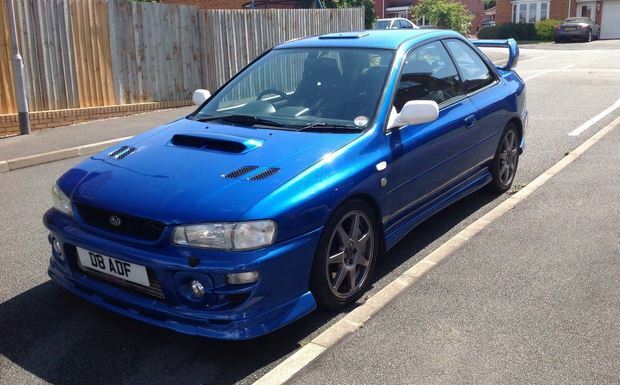 EcuTek remap by Bob Rawle (renowned Subaru mapper) running 340BHP/330TORQUE. 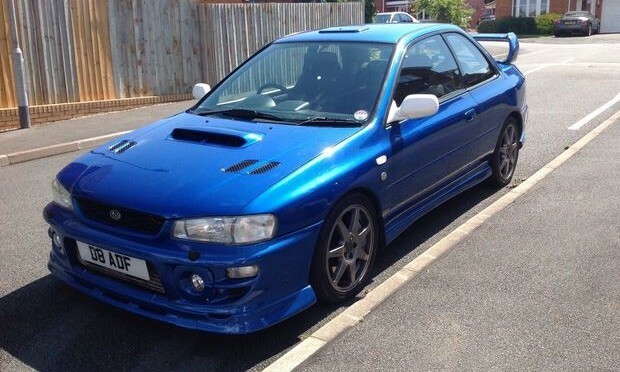 Has had engine rebuild at a Subaru main dealer in its past (I have the receipt as part of the car’s history) as all have had at one time or another. Standard 5 speed box/diff in good working order. Alloy radiator. Manually controlled intercooler water spray. Car comes with a file full of receipts and has been well looked after by a mature owner. I’m not interested in any part exchanges or silly offers. 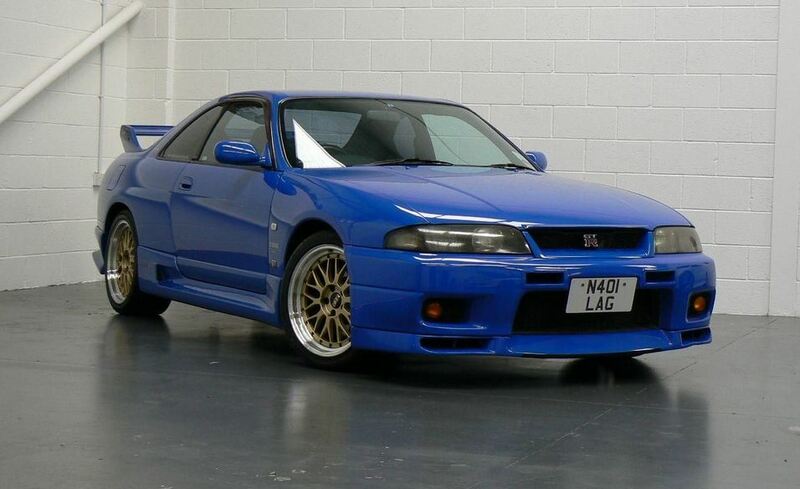 Buy it now is £7,500. No test drives will be allowed without proof of insurance, otherwise I will be doing the driving. All cars manuals are present as are both keys & Alarm fobs. Sigma original remote alarm /immobiliser fitted. Cash on collection only or bank transfer 24 hours before collection. No bankers drafts accepted. Probably missed something, but this is a genuine well sorted car which hasn’t given me any problems in my ownership. 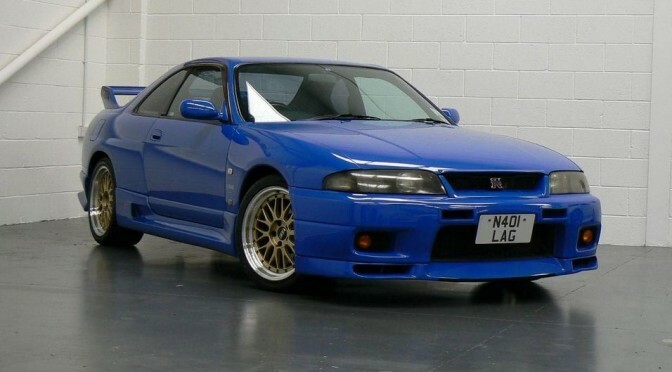 What an oppertunity to own a R33 gtr Lemans with orignal nismo skirts this is 1 of 98 ever made, probably only a handful left in the world ! and originally imported by Us.STILL IN SPOTLESS CONDITION. Only covered 3000 miles whilst been in the uk, Only 47,000 miles in total. 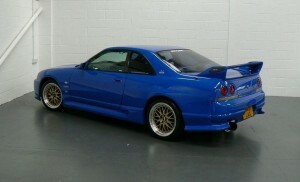 The car is in immaculate condition throughout , fitted with clifford cat one alarm , stainless steel exhaust.18 bbs alloys. It is still exactly as when we brought the car over from japan.